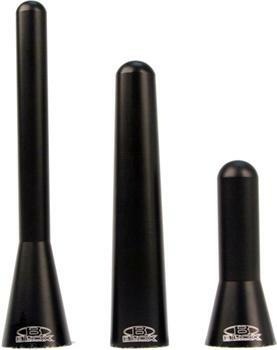 BLOX Mini Antenna UNIVERSAL - Dezod Motorsports Inc - Home of the automotive performance enthusiast since 2002. BLOX Racing’s stylish replacement mini antennas are CNC-machined from billet aluminum and anodized black. Three different sizes are available as direct replacements for unsighly OEM antennas found on vehicles such as, Honda S2000, Honda Fit, Mitsubishi Evolution VIII, IX, and a other with similar antennas.